Why Pay More For Less II? 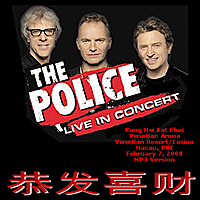 The Chinese Lunar New Year period is a joyous occasion but The Police's concert in Macau on New Year's Day served as a pointer to what can happen when $ingapore's integrated resorts (high falutin' name for casinos) open for business in 2009. In December 2007, a 38-year-old Mainland Chinese man admitted to Macau police that he had murdered a 39-year-old Mainland woman at the Venetian Macau as he was unable to repay a US$25,000 (200,000 Pataca) loan. A police spokesman said the victim came to Macau as a tourist and stayed at the Venetian alone on the Cotai Strip. She met the suspect in a Macau casino where she acted as a middle-person and arranged a US$25,000 (200,000 Pataca) loan for the borrower. The suspect, a frequent gambler travelling from the Mainland, lost the lump sum in the casino and failed to repay the loan to the woman. The man then set fire to the mattress where the womans body was lying on in an attempt to destroy the evidence. Earlier in December, three tour leaders and two tourists from the Mainland were charged with causing bodily harm after a group of 120 Mainland tourists in Macau turned against their tour operators. The tourists were reportedly upset with the number of stores they were forced to visit and the operators' insistence that they purchase goods. Tour operators often work without a salary and only earn commission on goods tourists purchase from designated shops during their trip. Putting aside this grim backdrop, The Police concert was more or less business as usual and, thanks to joffa64, who shared this very good audience recording on the Dime site, here's another reasonable way of experiencing the concert. Joffa64 noted: "The show was on Chinese New Year's Day, thus the title, which is the standard New Year greeting (in Cantonese) and means something like "Wishing you prosperity and wealth". You'll hear Sting say this after Synch2, and he also says "xin lian kuai le" (Happy New Year, in Mandarin). He also refers to it being New Year's Eve several times during the show, despite the fact it's actually New Year's Day. No surprises with the setlist unfortunately, if anything it seems to be getting shorter." 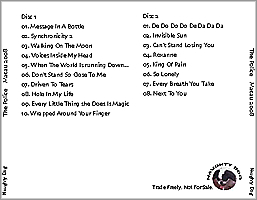 Another music fan, loucap81, was more pointed: "I could even live with the same setlist over and over if it were a longer show. Would it really have killed them to leave Spirits In The Material World and Murder By Numbers in the setlist like they were playing at the start of the tour? Did they have to take out The Bed's Too Big Without You? Why not do BOTH Bed's and Hole in My Life? And why no more Truth Hits Everybody? If they didn't like how the song sounded, then do another song in its place. Don't just remove it and make the show five minutes shorter. To not even do a two-hour show for people paying that kind of cash is incredibly lame. "I just noticed that Walking In Your Footsteps was cut. So that means that these people got two less songs than what turned out to be the normal setlist, and four less songs than what the people in Vancouver got." 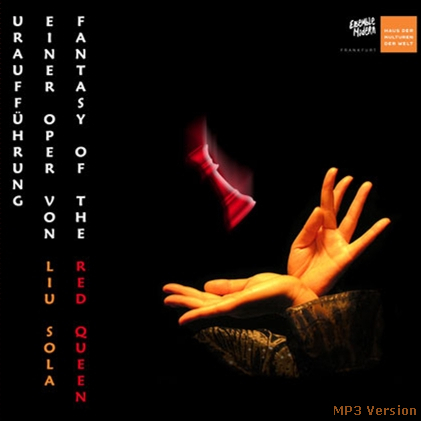 Click on the highlighted tracks to download the MP3s (these are high quality, mono MP3s - sample rate of 192 kibit/s). As far as we can ascertain, this recording has never been officially released. Click on the link to order Police albums.